Pelleh Poultry’s award-winning squabs are young King Pigeons, a variety specifically bred for market. Featuring tender meat with a delicate gamy flavor, the King Pigeon breed is now the most popular squab bird on the market. Squab is a welcome change of pace from the usual poultry offerings, and makes a beautiful impression at the table. Nesting hens typically lay two eggs. The chicks initially grow very rapidly on an exclusive diet of crop milk, a substance produced in the throat of both parent birds that is richer in proteins and fats than cow’s milk, and contains similar immune-enhancing factors and antibodies. This remarkable feeding method is found in only two other birds, the Greater Flamingo and Emperor Penguin! As the chicks mature, the parent birds gradually introduce adult food into the chicks’ diet until they are fully weaned at about two weeks. Since the parent birds feed their young exclusively, this makes raising squab for food extremely easy and convenient for breeders, and has made them a source of readily-available food since Biblical times. At four weeks, the birds have achieved adult size but have not yet started to toughen from the exercise of flying. This is the ideal time to prepare them for the table. Pelleh Poultry receives the squabs from their supplier, David King. The birds are meticulously processed to the highest standards of quality, ensuring the humane treatment, cleanliness, and strict kashruth Pelleh is renowned for. After soaking and salting (a required step in shechita which also naturally brines the meat for a delicious and tender final product), the squabs are attractively packed for convenient restaurant, catering or home use. So, are you ready for a change of pace? Squab is actually very easy to cook as well. 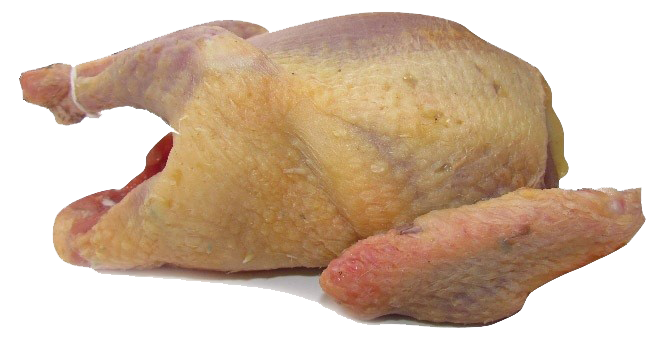 You can find Pelleh squab on our website or call our office at (845) 425-4559 for home delivery. Check out our recipes, choose from the many available online or in your favorite cookbook, or adapt your favorite chicken or duck recipe, and enjoy a most delicious and unexpected treat!